Steve is an experienced technical leader, with a track record of delivering in complex multi-location environments working with both in house and 3rd party teams. 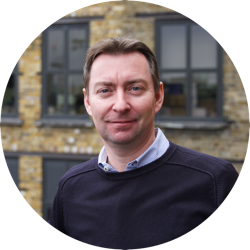 Steve has run both large software delivery programs and transformation programmes, most recently at 11:FS, Travelodge, William Hill, BT and ITV. Specialising in Agile and modern DevOps processes, Steve successfully engenders delivery mentality, quality first approach and recognised best practices to the organisations Steve works with. Able to apply over 20 years of technical leadership, software development, solution architecture and people management, Steve works closely with business stakeholders to help them and their companies achieve their business goals through technology.